Bar tools are fairly basic. Just hearing their names invokes the application. Shakers shake drinks. Stirrers stir drinks. Muddlers muddle drinks. Muddlers? Is that even a real word? 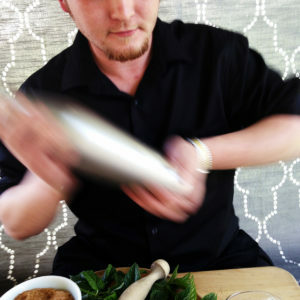 To the bartender, a muddled drink might be seen as time-consuming. To the home cocktail connoisseur, a muddled drink is a delight that takes one extra step towards luxury in a glass. A properly prepared mojito is one such luxury. Mojito basics: Lime, mint, sugar and of course, rum. Muddling is really quite simple. You do need a muddler, which is a fancy pounding/stirring device… a kind of a skinny pestle. 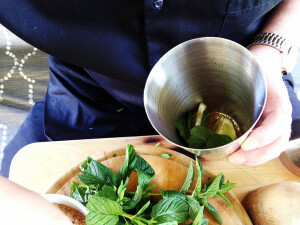 For mojitos, it is used to combine the three essential ingredients: lime, mint and sugar. As you crush the juice from a fresh lime, the granules of sugar grind into the fresh mint leaves to release the tongue tingling essential oils. The tantalizing aromas arising from the glass are just a hint of the flavors that will sparkle in the final cocktail. It takes a little practice, but a properly muddled drink is treat not to be missed. 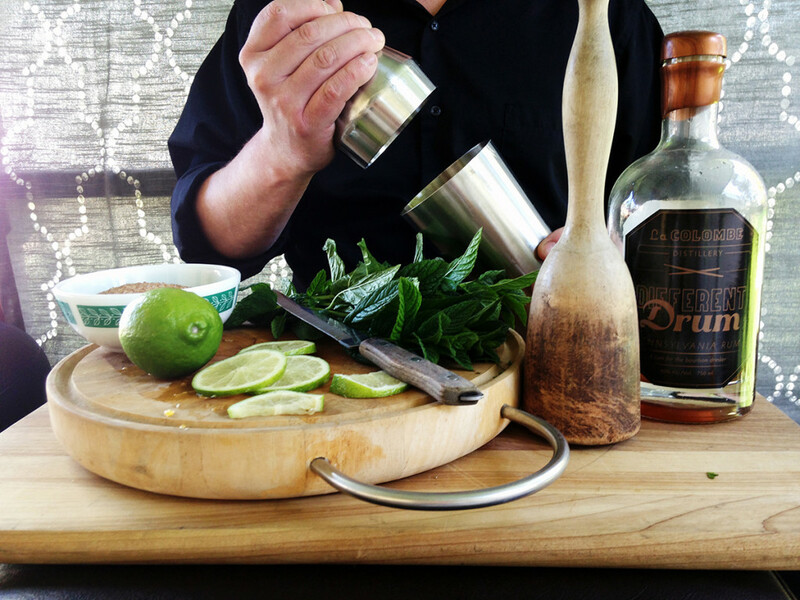 Denny muddles the lime, mint and sugar together to release the flavors. The rest of the mojito is straight-forward. Just add ice, rum and soda water. 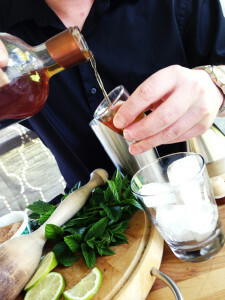 Some people strain out the crushed lime and mint after adding the rum. Some people keep it in. The difference will reveal itself in the final clarity of the drink. 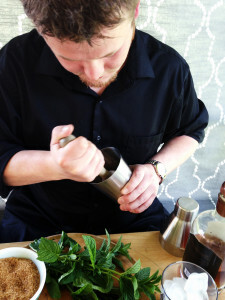 Mojito fans will dispute which technique is best for hours. 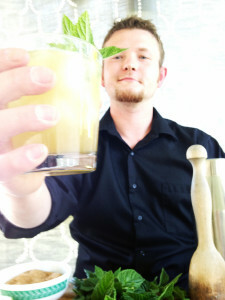 A mojito is a drink that can be as simple or elaborate as the mixologist desires. The finished product is astonishingly refreshing and well worth the time spent with a handy yet simple tool with a ridiculous name: the muddler. 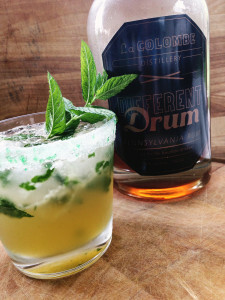 This spin on a mojito uses a coffee-infused rum from LaColombe Distillery. They describe it as a rum for the bourbon drinker, and we love it!